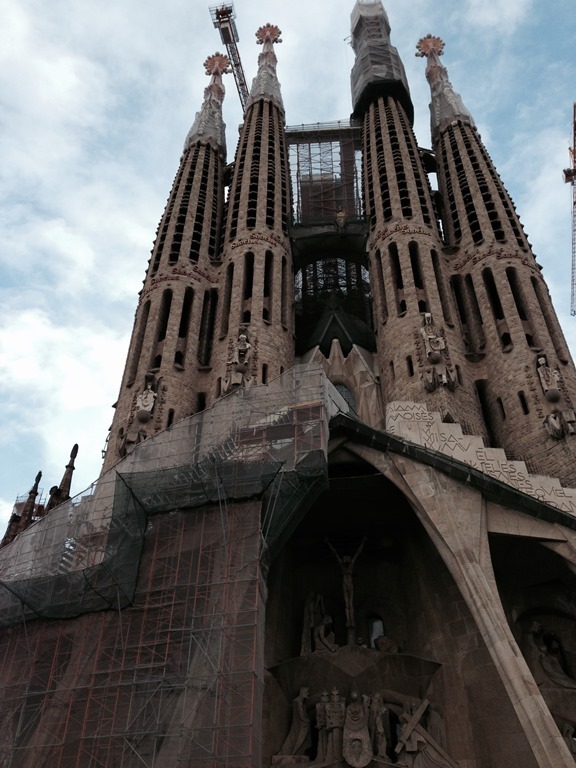 Trying to wrap up Microsoft CONVERGENCE EMEA in Barcelona after 3 days I couldn’t attend in person this time, but was engaged with from a social media point – and it really felt like I´ve been there physically. So what are my key take aways from this season? 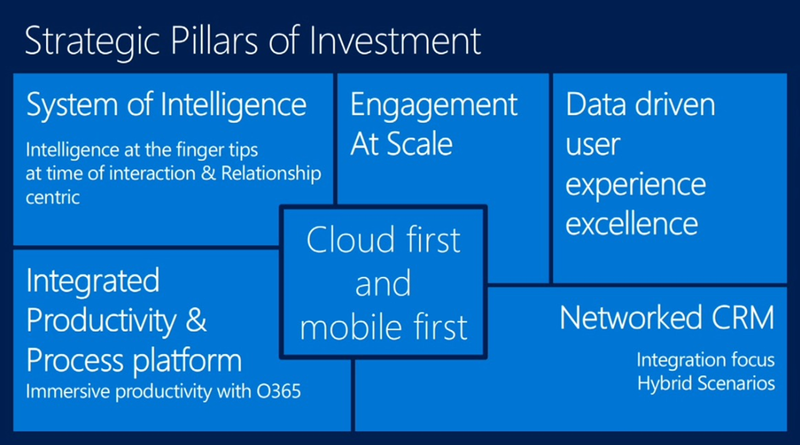 Obviously we´ve been introduced to the GA of Microsoft Dynamics CRM 2016 by our new leader of Microsoft’s CRM Business Applications group – Jujhar Singh – and not being surprised, it is still around Cloud first and mobile first. Continues investments in productivity, mobility and Unified Service been made, this time – and I would say the very first time – we also see investments made in a more complex form of intelligence. This sounds crazy while writing it down, cause we did have Business Workflows, Business Process Flows and a modernized UI in the past (and the past was just yesterday). But honestly – we are truly on a new mission enhancing existing capabilities with the new offers and services from the Azure world. 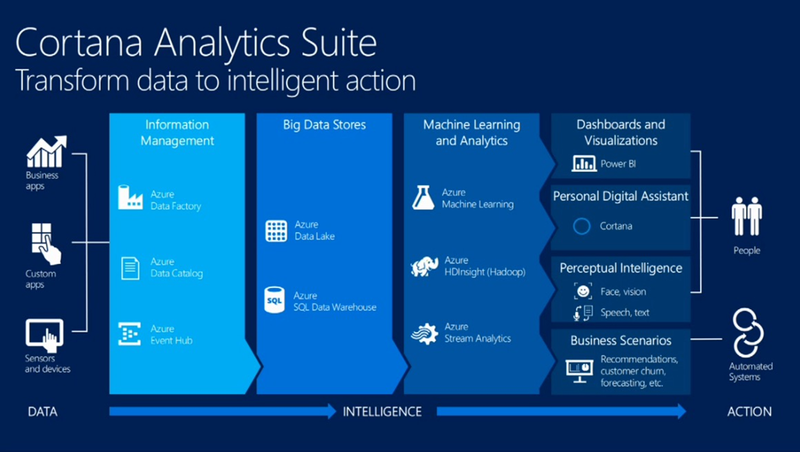 Not only from mobility perspective using Cortana as a personal voice assistant, we will recognize Cortana Analytics helping us to see a better productivity with all the data that we captured inside Microsoft Dynamics CRM or other systems like ERP and external information storages like Sharepoint, Yammer or our File Servers and many more. Turning data into actions by analyzing millions of records within seconds and making suggestions based on algorithms, patterns and things that we did in the past – our future work with Microsoft Dynamics CRM will become much easier. 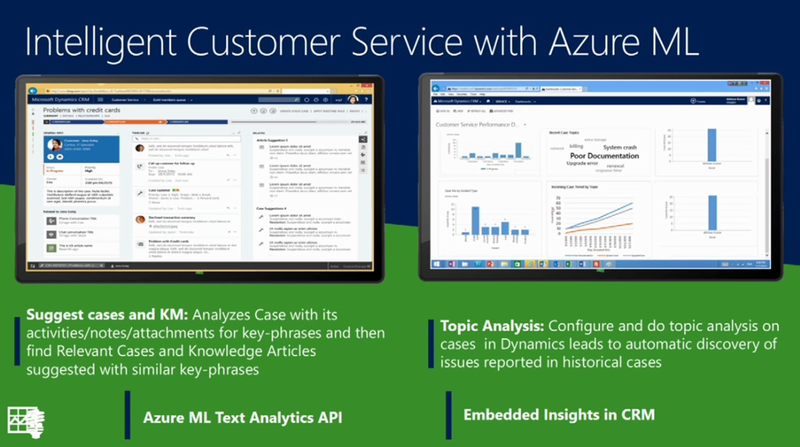 Using Azure Machine Learning as one component of Cortana Analytics we will see investments made in all typical CRM modules (Sales, Marketing and Service), but also allowing us to enhance modules like Project Management, Field Services and many more xRM scenarios, if you think of our xRM Framework. 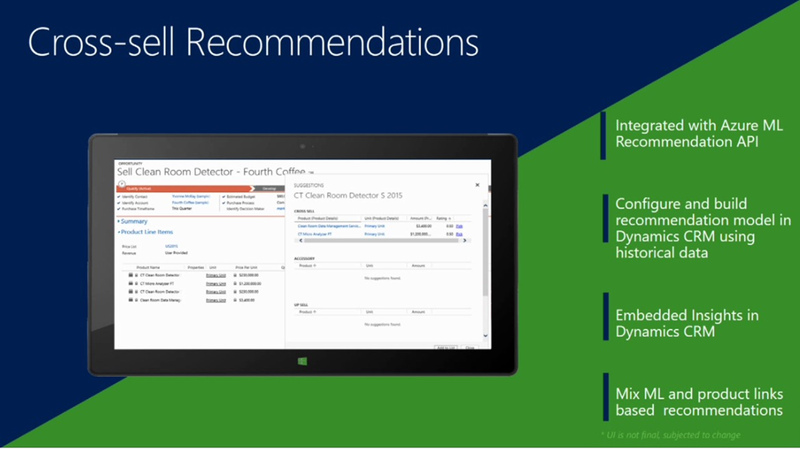 So with a first wave of seeing cross-sell recommendations being made with the help of Azure ML and intelligent customer service offered by Azure ML supporting CSRs and support employees to find the best key words for searching kb-articles or creating predictive maintenance work order items based on existing machine log-files – we certainly will see a change the way we´re working today. The bigger question around is: Are we ready for this? I think the best way we can all think about it, is the way social media changes our daily business – if we want it or not – it is effecting the way we think, the way we share, the way we engage and also the way we influence others’ daily work day. Think of a typical negative tweet you probably made after your flight was cancelled and your flight company wasn’t able to manage or assist you. Now that we are in Christmas season – think of the parcel service that you´re worried about to deliver the present in time before x-mas. With the help of setting up a sentiment algorithm, train it and again analyze and compare millions of records within seconds, you can now make a difference! By turning a negative tweet into action, follow up within CRM to enhance data, creating a follow-up action on the channel it started and finally creating a positive customer experience turning into additional positive reactions about what happened here – we are now able to not only start a sh…storm when something went wrong. People don’t resist change. They resist being changed! – Peter Senge. 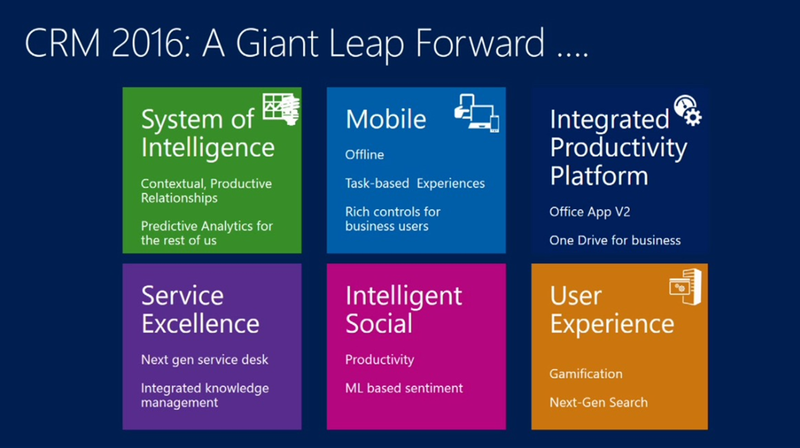 The reason I took that quote to start talking about the costs (from my personal point of view) is – now that we´ve been introduced to all the capabilities (and congrats to the Microsoft Convergence Team for managing once again an amazing 3 days) – how do we start not being changed? 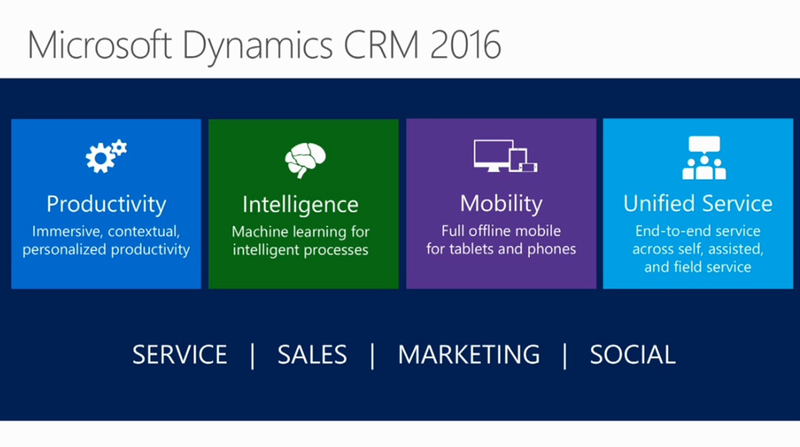 Microsoft Dynamics CRM 2016 is a big opportunity. 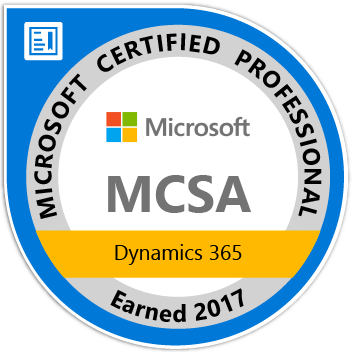 I say thank you very much to Jujhar Singh and the complete product team not only enabling most of the Microsoft Dynamics CRM 2015 Online seen features to On-Prem now. Instead – once again – enhancing the suite and setting up new toolsets we can play with. 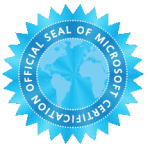 I´m proud to be an MVP for Microsoft Dynamics CRM these days and love the way we´re moving forward with each release. I personally love the customer service area, I do love creating concepts and visions around creating a better customer service experience.